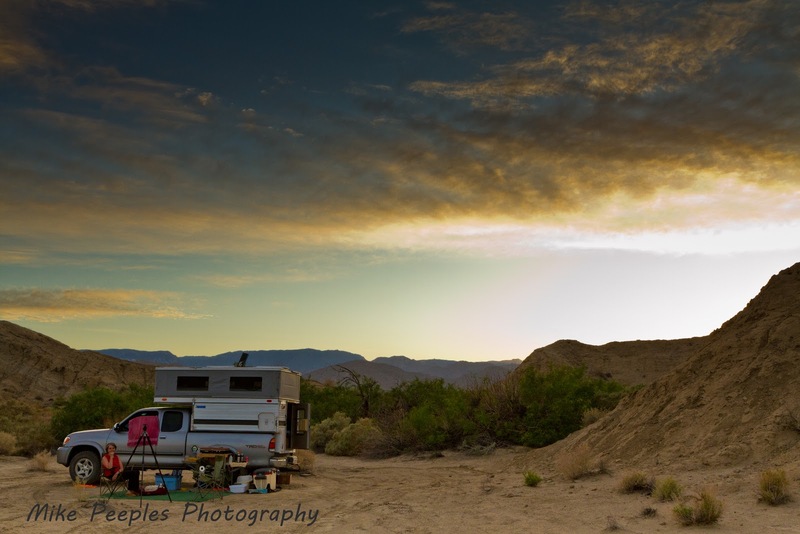 Here is an example of one of our "campsites" in Anza Borrego last week. From this site, we could see the ridge above Arroyo Tapiado. This is the Badlands area where a missing hiker, Guillermo Pino, Jr's search and rescue was focused. We could see a searcher on the ridge for a short amount of time before dusk. Below is a shot of the ridge and searcher, as well as a wider view of the Hueso Wash area.